Now you have your tarot cards, it is time to put your energy in to them. The first thing to do is to cleanse them from the manufacturing process. This is done by holding them in your non-dominant hand and knocking them with your dominant hand. You can use this technique every time you feel they need cleansing, especially if you have let someone else use your cards. Now you can put your energy in to the cards, take your time with this. Hold every card, look at the pictures, what are your first impressions of each card? The more you work with them the more of your energy you will put into them and the more you will see in each picture. Spend as much time as you can practicing or meditating with them, or at least handle them regularly, especially during the course. To avoid the cards absorbing disturbing vibrations or energies wrap them in a black cloth, silk if you can afford it, and put the wrapped cards in a box. Treat your cards gently and with respect and it is recommended that you don’t allow others to use your own deck. As you are learning the cards, it is a good idea to keep a journal of your own readings. As with everything it takes time and practice. The more you work with your cards, the quicker you will learn. Always trust your instincts. It is also important to remember that the future is not set in stone, as we put plans in to action our free will, choices and decision can change our path at any time. There is a lot to learn and remember when learning to read the Tarot cards, however, your interpretations must be personal to you. In order to do this, you must learn to develop your own relationship with the cards by understanding the feelings, visions and insights you get from them. 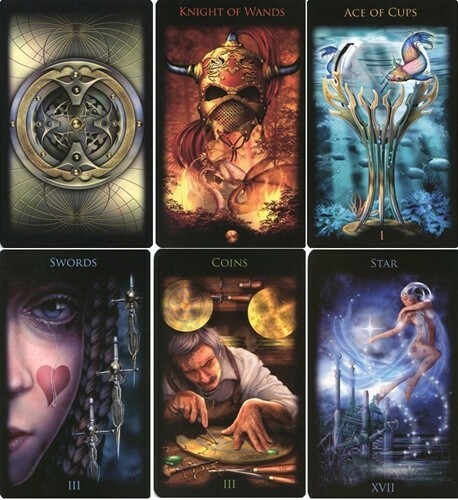 In other words, all of us who work with the Tarot understand that there’s a 'standard' interpretation for each card, but we are each free to communicate that meaning in a way that reflects our spirit and personality.